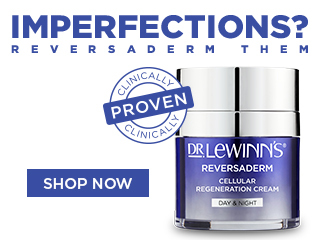 Dr. LeWinn’s understands that our skin is our most vital asset. When we look good, we feel good – but keeping it looking its best is an ongoing challenge as our skin changes constantly throughout every stage of our lives. Skincare basics are simply not enough – it’s time to get informed and take control of your skin. Dr. LeWinn’s has dedicated the past 25 years to understanding the science behind skin and developing specialist skincare solutions. One of those specialist solutions is Hyaluronic Acid which delivers incredible skin benefits in conjunction with the powerful line smoothing peptide, Snap-8, both featuring as hero products in Dr. LeWinn’s Line Smoothing Complex range. Hyaluronic acid is a carbohydrate which is naturally present in the spaces between skin cells where it provides moisture, plumpness, firmness and suppleness to the skin. This skin saviour acts as a ‘moisture magnet’, it’s molecules have the ability to attract and retain more than 1000 times their weight in water. As well as this, Hyaluronic Acid provides an antioxidant defence against environmental irritants and damage. Sadly, as we age and particularly after the age of 40, our skin tissue deteriorates and our body’s stores of naturally occurring Hyaluronic Acid decline, leading to drier skin and the formation of those dreaded fine lines and wrinkles. By boosting the levels of Hyaluronic Acid in the skin, Dr. LeWinn’s Line Smoothing Complex products are the quintessential alternative for those considering botox or fillers.